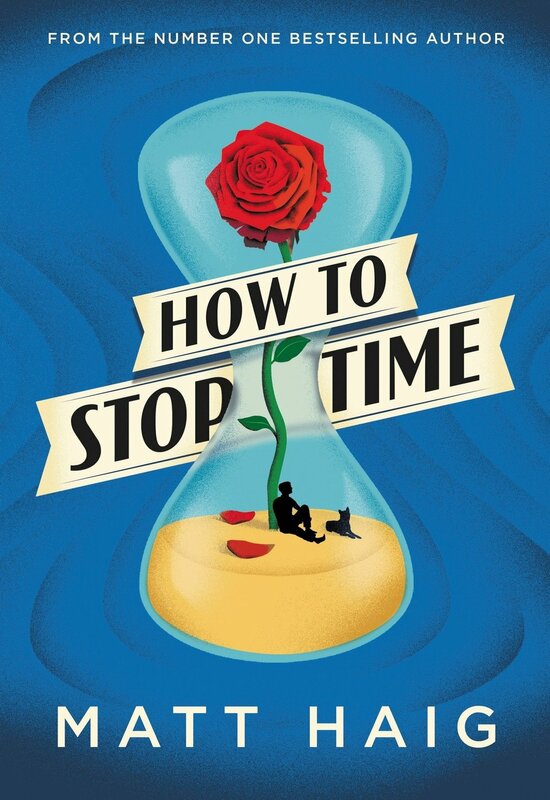 When you first pick up Matt Haig’s latest novel, How to Stop Time, a Sunday times bestseller, you might think you know what you are getting. With the main protagonist, Tom Hazzard, telling the reader in the first few lines he was born over four hundred years ago it starts off feeling as though we're heading into a simple sci-fi. However, despite first appearances Haig has created a story that runs deeper than the main characters diagnosis turning its focus more to the very human side effects that come with ageing centuries behind everyone else. We follow Tom in his present-day life as a History teacher, where it quickly becomes apparent he is preoccupied with his own condition and spends most of his time musing over his past and despairing for the present. The way Haig depicts Tom reflecting his situation comments directly on how people live their real lives, an allusion to the way we get so caught up in what is wrong we miss all the time we could spend enjoying what is right. In one scene Tom visits a doctor to try and get an explanation of his condition but is turned away and waits a few decades to pass before returning as living proof. This obsession with needing to find a cure, results in a death - a commentary on how some people spend so long searching for a label or explanation for a problem in their life that they can’t move forward. Luckily for Tom in this case he has the luxury of time, but even with seemingly limitless time he still gets nowhere. The book also alludes to mental health issues which, although less explicitly, picks up on themes in Haig's previous work, Reasons to Stay Alive, which depicts his own mental health journey and offers comforting insights. These themes resonate with Tom’s characterisation and how his mental state is effected by his physical condition. His detachment from life comes from the loss of his family and friends, shown through flashbacks throughout the chapters that really give the reader a sense of time travel but stay contained enough to feel personal. This brings a valuable question that carries throughout the book, how much use is time without people to spend it with? Haig has crafted a story of a man with an abnormal life longing for a normal one as he feels like an outsider and alone. In spite of the construct Tom is easy to relate to, he is the most honest observer and his outlook, although bleak, feels refreshing and real. As humans, we are rarely alone and seek friends and partners to share our experiences with. Give a man all the time in the world but no one to spend it with, Haig asks the reader, what worth is it really?